This is easy 3 match puzzle game collected and connected! You collect and connect lovely bears and erase bears. Let's try erasing many bears in 60 seconds! 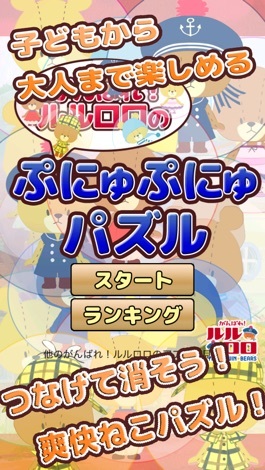 - If three or more bears are connected, you erase a bear and can acquire a score. - You can gain a high score more, if a bear is connected for a long time. - You can get "BIG BEAR", if 5 bears can be connected. - "BIG BEAR" has a score 4 times. 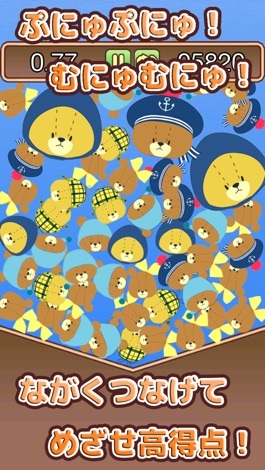 - You can get a "BEAR BALL", if 7 bears can be connected further. - A "BEAR BALL" is a special ball which disappears only by one. - If you do the tap of the "BEAR BALL", the same kind of bear disappears at a stretch, and you can gain a high score further.